We are very happy to announce our Wedding photography Award in PWPC Canadian Contest. Even though our primary goal is to capture the wedding beautifully for the couple, it’s always great to receive photography award. This time we received five awards in different categories. This image of Pina is mesmerizing. She looks like a real Italian beauty that came down from Da’Vinci painting. I like it because you see a very deep look in her eyes. It’s a real “Mona Lisa” look. 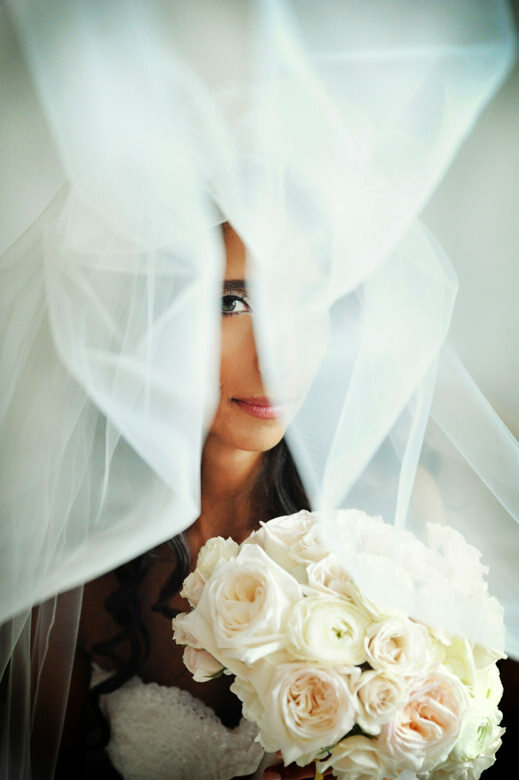 This images receive a photography award in the “Bridal portrait” category. Next image features the laughing bride and groom Vika and Andrey. It was taken in Paris. I love the movement of the veil and the natural expression full of joy and happiness. It’s also great to see the blue sky through the veil. And of course the symbol of Parisian Romance-The Efel Tower. This images receive a wedding photography award in the “Bride and Groom” category. 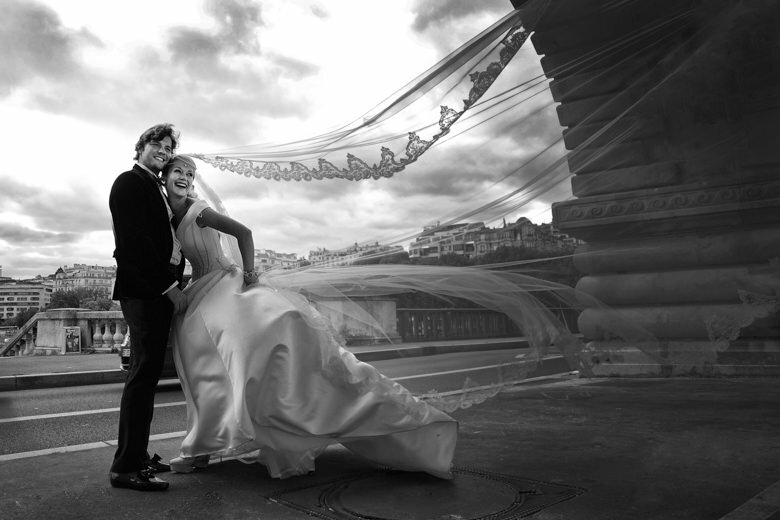 This award-winning photo is from the same wedding in Paris. We were lucky to have a lot of wind that day. The veil and the dress were flying creating beautiful shapes. This photograph also received a wedding photography award in the “Bride and Groom” category. Next image won a wedding photography award in the ” Wedding Reception” category. 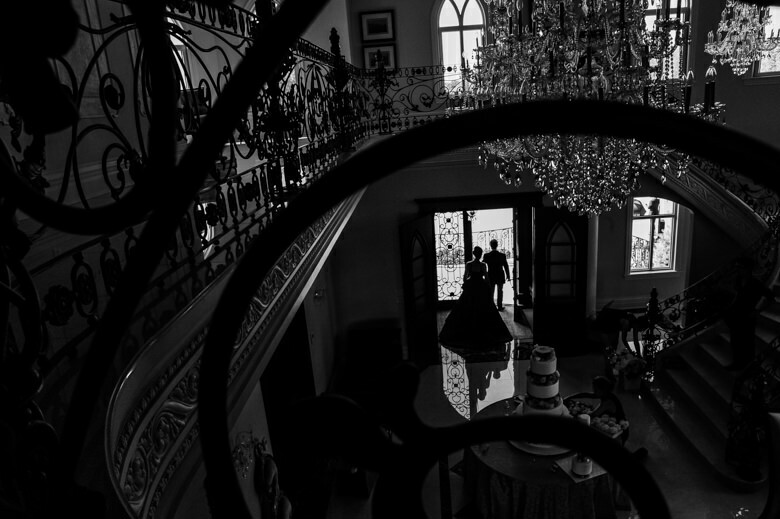 Silhouette and graphical shapes always look amazing in wedding pictures. The last image also won a wedding photography award in ” Wedding Reception” category. 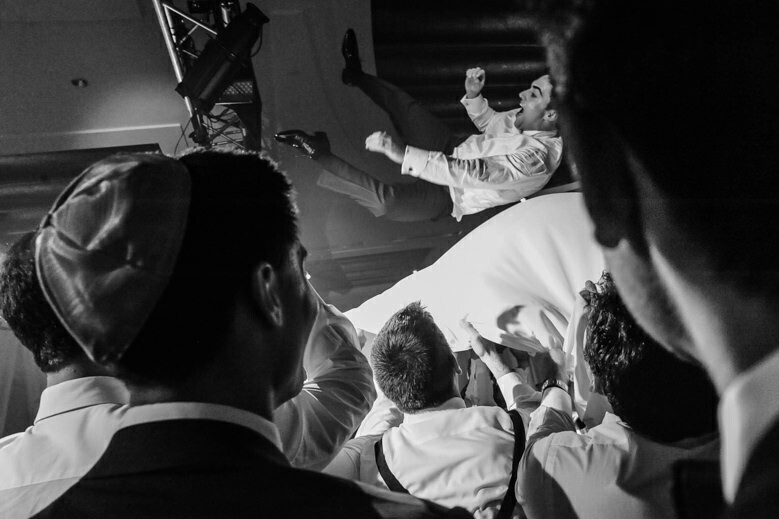 It’s a fun moment frm a Jewish wedding of Deidra and Casey. Friends are making the groom fly in the air during the hora. It’s an old Jewish tradition. It’s always a lot of fun.